Get excited! 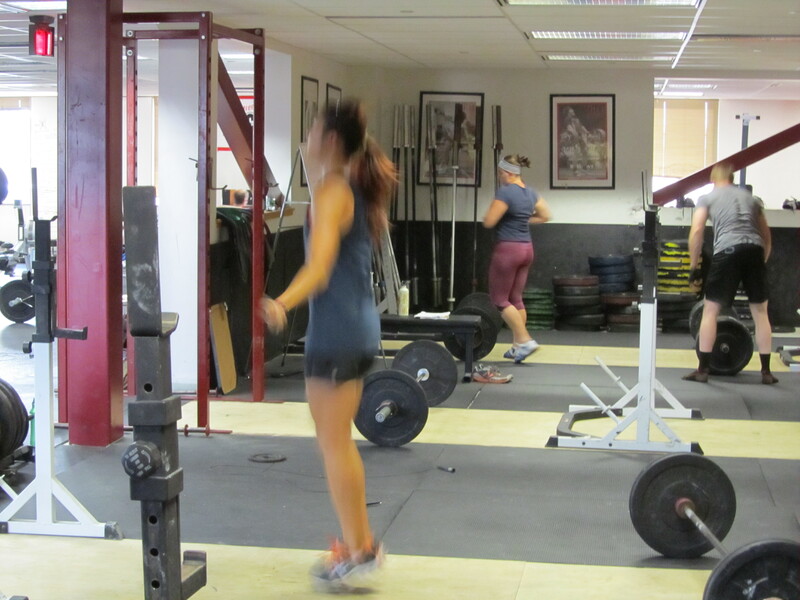 2 weeks until the CrossFit Rowing Trainer Course at CrossFit Boston and CRI! Today’s Rowing WOD is a great take on the classic Girl WOD Annie. The rowing pieces are descending in length, so a good goal would be to hold the average 500m split that you row on the first 500m all the way through the rest. If you can finish the last 100m in 10 strokes you got game! Look at your splits from yesterday, think about your last 2k, and try to pick a goal split for the 1k we’re going to do on Saturday. If you can work on consistently holding your 1k goal split during this wod you’ll be ready to crush it and surpass that goal on Saturday. Be sure to breathe and find a consistent rhythm for the double under’s and sit ups. Attack it and post your time to comments! Post your goal splits and actual splits as well. This entry was posted in Fitness, Rowing, Strength and tagged endurance sports, exercise, functional movements, mental toughness, new sport, rowing, sports, training by Renegade Rowing. Bookmark the permalink.